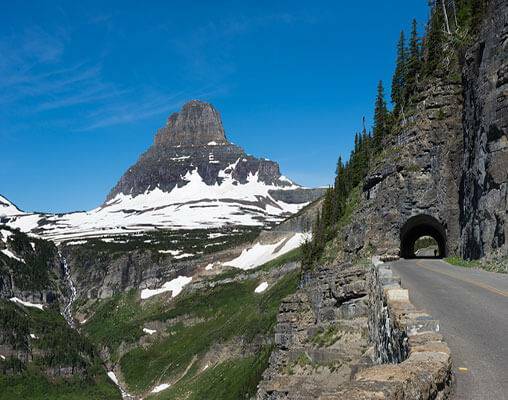 Your journey to Glacier National Park begins today as you board the Empire Builder from either Chicago or Seattle for a trip through the ruggedly beautiful West. Boarding in Chicago, you'll travel from the sparkling skylines of the Twin Cities through the wide-open North Dakota Plains and across the stunning Gassman Coulee Trestle before reaching Glacier National Park. 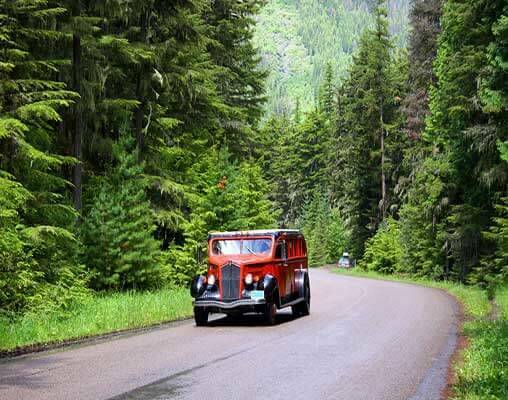 Seattle travelers will enjoy a scenic ride through Washington's forests and Spokane Valley, eventually making their way through Idaho and into Montana, where they are met with breathtaking mountain views. Overnight train. 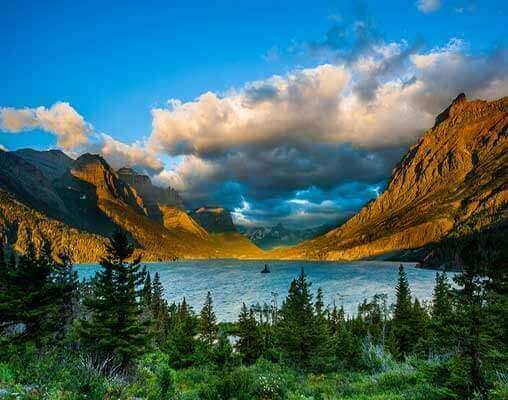 Today you arrive in Glacier National Park, America's monument to wild natural beauty known as the ‘Crown of the Continent' for its staggering mountains, lush forests, alpine meadows, and roaming wildlife. 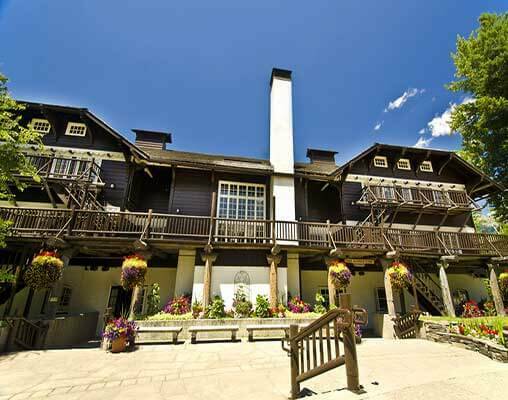 Many Glacier Hotel, the largest lodge in the park, is a historic gem. The hotel was built in 1914 by the Great Northern Railway, and its grand history is evident in the Swiss Lounge and Ptarmigan Dining Room. 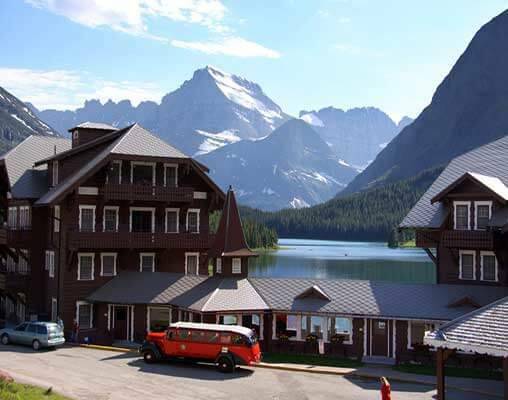 Tucked away on the shores of Swiftcurrent Lake, the five-story hotel provides private views over the park. Guest rooms are comfortable but maintain an old-world feel, allowing visitors to connect really with the location. Overnight Many Glacier Hotel. Glacier's famous red buses are a fun and informative way to see everything the park has to offer, and today you'll get to take a ride and see for yourself. The vintage 1930s buses feature roll-back tops so you can take in and photograph the panoramic views of mountains and lakes with a Big Sky backdrop. A veteran park guide will lead your tour, sharing history and stories about the park along the way. Eventually, you'll arrive at Lake McDonald Lodge, a classic Swiss chalet style hotel on the shores of the park's largest lake. 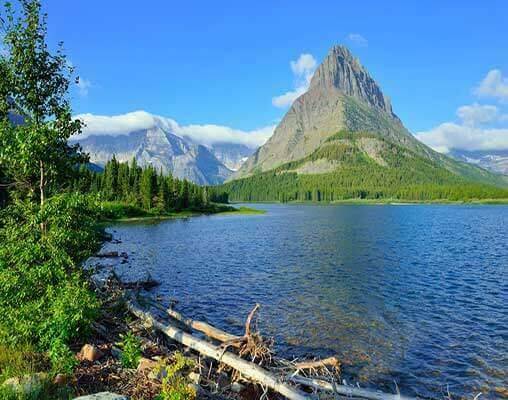 Click here to view testimonials for Lodges of Glacier National Park. 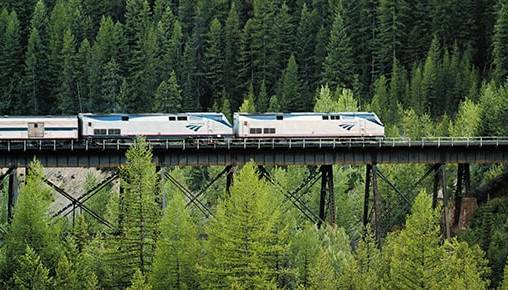 This was our first vaca by rail. I thought we had a good variety of activities, enough free time, and excellent information of things to do for free time. I really appreciated the information regarding tips. Dawn was awesome! She helped us upgrade to a bedroom very quickly. I will definitely do another trip. Be sure to thank Dawn for an excellent job! Incredible destination. To quote a previous enthusiast "why travel when we have Glacier. We enjoyed many aspects of the tour. We were going several places each day with several additions of extra excursions added in when time allowed.